The widespread role of ATP in humans has been characterized as a substrate for metabolism as well as other key processes occurring in the human system. Hence, the ATP pool may also be accessible to the invaders, including Leishmania donovani (a protozoan parasite), considering the fact that ATP is not scarce at the cellular location where the pathogen resides. The protozoan parasite survives in the human host by utilizing purines from its extracellular environment, due to its inability to synthesize purines de novo. The purines are accessible in the form of nucleoside triphosphates (NTPs), for example, adenosine (ADO) in the form of ATP molecules. These NTPs are processed by the ecto-nucleotidases in the transmembrane region of the parasite, which are then transported inside via nucleoside/nucleobase transporters belonging to the ENT family of transporters. Besides, the breakdown of NTPs by ecto-nucleotidases also yields inorganic phosphate (Pi) as by-product which is utilized by the parasite to maintain Pi homeostasis. 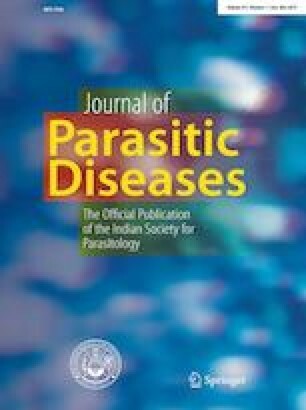 These transporters have been characterized in protozoan parasites exhibiting homology in various species of Leishmania. Once inside the parasite, these purines (or their derivatives) are fluxed into purine metabolic pathways with the help of several cytosolic enzymes, prominently, adenosine deaminase, adenine amino hydrolase, phosphoribosyl transferases (APRT, HGPRT and XPRT) and adenosine kinase. 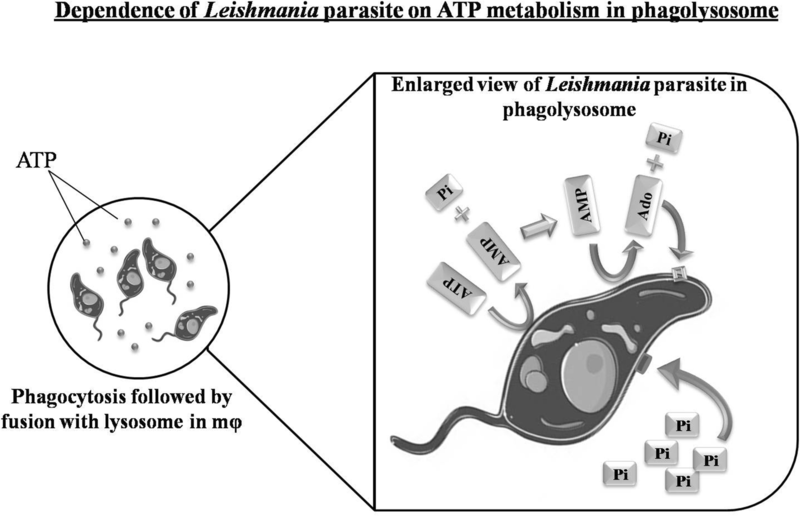 This review outlines the predominant role of extracellular nucleotide metabolism and intracellular metabolic machinery in the containment of leishmanial infection. It also highlights the importance of inorganic phosphate transporter in relation to the purine transport. The study is undertaken as part of dissertation work of Ms. Kashika Arora for the fulfilment of her postgraduate degree. The authors thank Motilal Nehru National Institute of Technology (MNNIT) Allahabad for supporting the study.